If you’re a commercial landlord, you need to cast your peepers over this. EPC changes mean it will be unlawful to let or lease a residential or commercial property with an EPC rating of F or G (the lowest of the energy efficiency ratings). 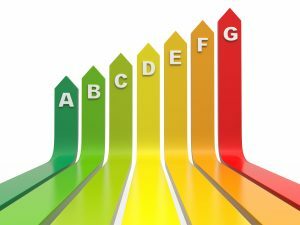 The new Minimum Energy Efficiency Standards (MEES) mean public and private sector non-domestic landlords are required to achieve a rating of E or better before they can rent out their buildings. But you may already know this, so what’s new? Well, commercial buildings previously deemed to be above the minimum energy efficiency standards (A to E), may have unwittingly fallen into one of the bottom two energy efficiency ratings. 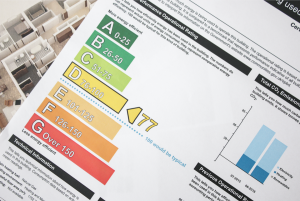 Given that you have just a few weeks to mitigate the potential negative impact on the value of your building, you should really be making your EPC rating a priority. Energy data firm Arbnco has run a number of simulations using EPC data from around 3,500 “well managed” commercial buildings. Of those buildings, 18% have now dropped down at least one EPC rating band, with a further 11% of falling to an F or G rating. Nationally, this could translate to £130bn worth of UK commercial property that could fall foul of MEES once April comes around. These findings serve as a warning that many building energy ratings may be inaccurate and that more commercial buildings than previously thought could theoretically be taken off the market under the new laws. The figures are illustrative of the difficulties landlords face when trying to achieve a higher EPC rating. But you’ll be pleased to know that there is a way forward so that you don’t have to lose out financially. What can landlords do to achieve a higher EPC rating? There are some pretty steep figures being bandied about in terms of the potential penalties landlords face for non-compliant buildings. Under MEES, landlords can face fines of up to £160,000 per property as well as leasing restrictions. With this in mind, it’s important that you fully consult with your surveyor or EPC assessor as part of the energy assessment plan for your premises. 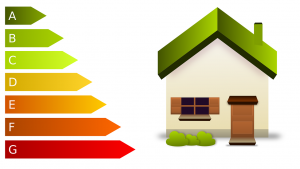 In some cases, carrying out energy efficiency improvements may be fairly straightforward, and the cost of alterations relatively low. For example, simply by having competent, experienced assessors do the job can result in an upgrade of the EPC rating. If you have a forthcoming lease break or are soon carrying out routine building maintenance, you may want to take advantage of these periods so that an energy efficiency assessment can be done on your property. To ensure that you don’t fall foul to legislation that comes into effect in just a few weeks’ time, talk to us, today.